Anyone who knows me well knows that I'm a big Disney fan. I grew up watching Disney channel and all the classic films, and I still have a Disney playlist on my iPod that I listen to regularly. I've also visited two Disneyland parks, in Florida and in Hong Kong - hoping to get to Shanghai and/or Tokyo's before I leave Asia too! So for today's top five post, I'm sharing my five favourite classic animated Disney films, in no particular order. I'm not sure why Aladdin was always a favourite of mine, but it continues to be - I think I liked that Aladdin wasn't a prince or royal, yet could still be the hero (and I guess it doesn't hurt that the character is one of those weirdly attractive cartoons... don't lie, we've all thought it). 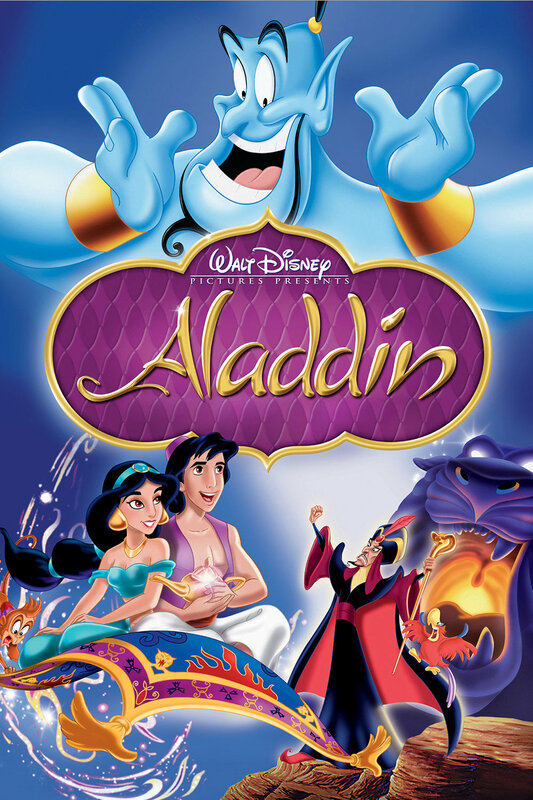 I've always loved the humour in a lot of Disney films, so the Genie was obviously a big favourite of mine, and Abu and the magic carpet were also very entertaining. The soundtrack is great too, and "Friend Like Me" is definitely one of my favourite songs. Now that I'm older, I'm more aware of the lessons and such in these films, I like that Jasmine wasn't such a feeble princess as earlier Disney ones were, and she goes out seeking adventure. 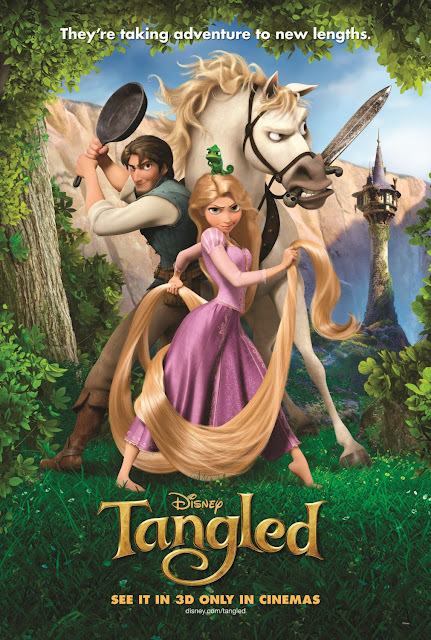 Most of my favourite Disney films come from the 90s, when I was growing up, and more recent ones I didn't enjoy as much - until Tangled came along. I love everything about it, from the beautiful animation - I don't normally like the modern 3D style as much, but the lantern scene is gorgeous; the catchy soundtrack, with many great songs, especially the Pub Thugs scene; and of course, the characters. Rapunzel is a bit quirky and awkward, and more relatable than the classic princesses, and Eugene is a bit rough around the edges, and more rounded and likeable than classic princes. And Pascal is the cutest! I'm very excited about the upcoming animated series too! 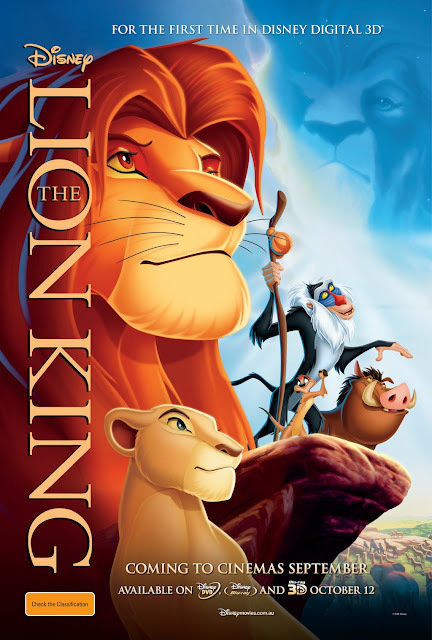 Who doesn't love The Lion King? I've always enjoyed it, but seeing the live musical in Edinburgh a few years ago, as well as the shorter stage shows in the Disneyland parks, makes for a truly remarkable, immersive experience, especially with the stunning costumes. The original movie is fantastic too though, and pulls at the heartstrings more than a lot of others I think. The soundtrack is one of the best, and the animation of the African plains is gorgeous. And as a lit student, I was even more delighted to discover it's based off a Shakespeare play! My mum confirmed that this was always my favourite film as a child, and I watched the animated series all the time too. 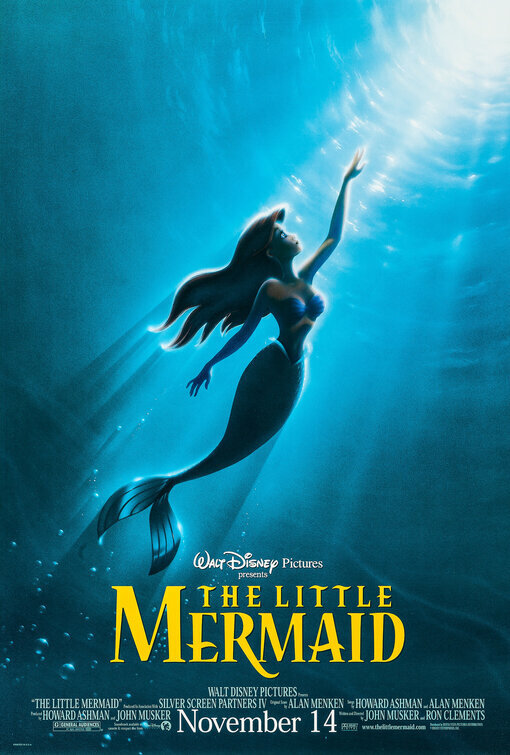 I think this was all mostly because I thought it would be amazing to be a mermaid, and the animation of the underwater world was simply magical to me. I never really understand why Ariel wanted to give up being a mermaid, but I do a little better now, as I understand the desire for adventure and new places. I do find her sudden, overwhelming love for Eric to be very troubling though. 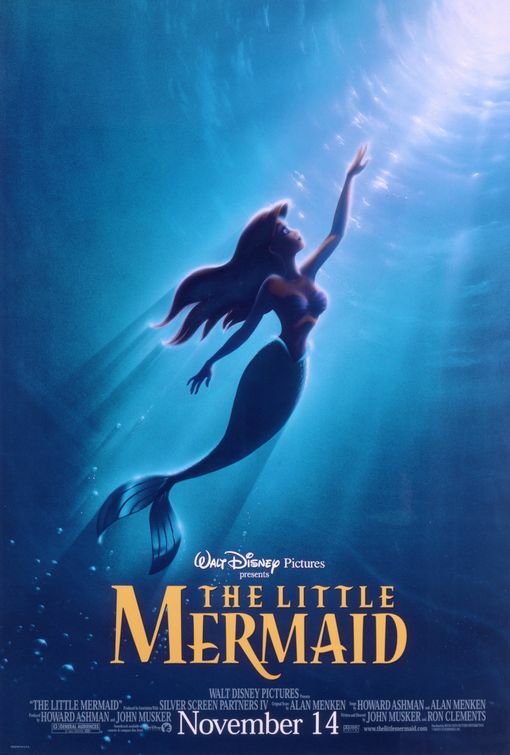 I still enjoy the film as a whole, and "Part of Your World" is probably my favourite princess solo song. And as always, the sidekicks are adorable; Flounder and Sebastian are the best! I'm not really sure I thought I'd like this when it first came out, as space and aliens weren't really my thing then (they still aren't generally, but there are exceptions, i.e. Star Wars). However, Stitch quickly became one of my all-time favourite Disney characters. 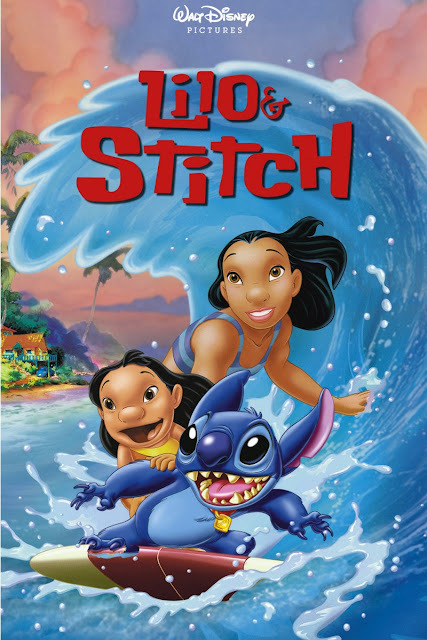 I think we've all felt a bit lonely and like a bit of an outsider sometimes, so we can all relate to both Lilo and Stitch. My heart broke for both of them in various scenes, so watching them both try to fit in and eventually forge their own little family, or ohana, is the most touching thing - I've definitely cried a few times while watching this one! It's such an important lesson for young children too, about not bullying for one, and provides reassurance that we'll all find our place somewhere in the world. What are you favourite Disney films?